The run up to the Carnival involved Nora Lam SI Club of Bangsar (SICB) Project coordinator setting out to recce and enquire about the possibility of educating the villagers and particularly the children about health, cleanliness and the importance of education. The sight of many unhealthy people inactive without purpose, resideing in the homes that had been built by the Government, and a few of them cleaning mussels for a living at Ringgit Malaysia 7-8 ( Aus$3) a bucket meant they all earned a meagre income. Economic development is an important factor for these women. Thoughts of converting the mussel shells (dumped at the beach) into fertilizer (as they are rich in calcium) crossed her mind and some connections to farmers of organic vegetables would be ideal. 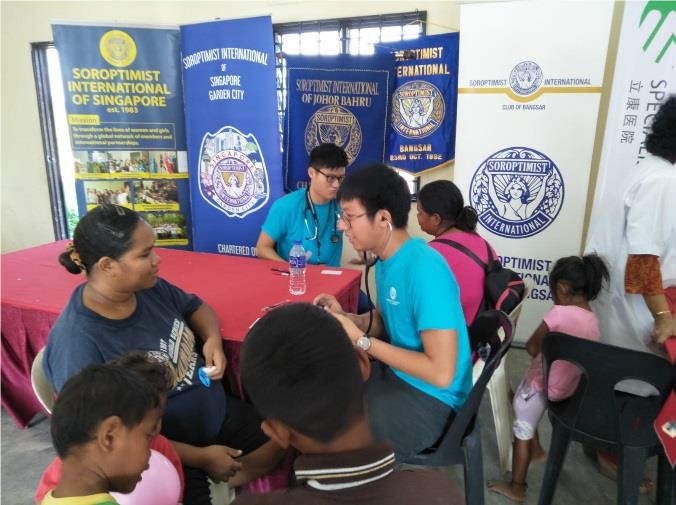 Highlighting this plight to the Singapore National Rep Joyce Lim, led to 12 Soroptimists from 3 Singapore Clubs crossing over to Johor Bahru on 22nd February 2019. SICB’s members Suat Pheng, Agnes, Helena, Doris and Nora and Nora’s sister Phyllis a friend of Soroptimist, had a great time bonding , eating lunch , dinner even supper and planning the finer details of the carnival on 23rd February with our Soroptimist Singapore sisters. 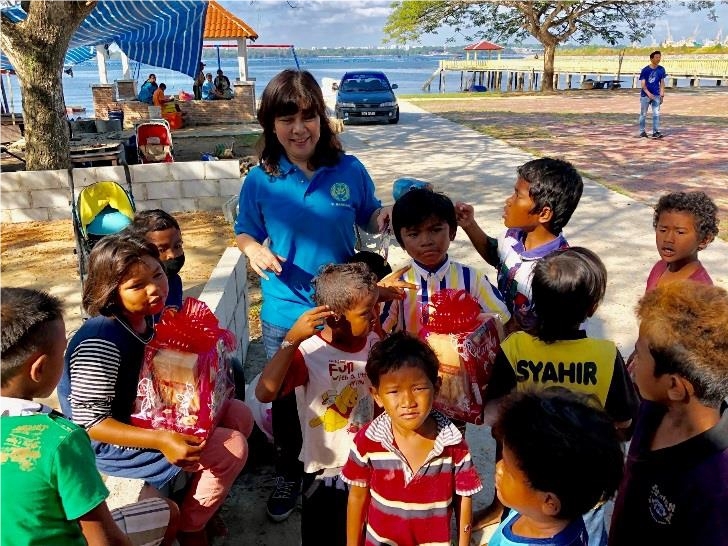 We knew that a project aimed at educating the Orang Asli (natives) who are seafarers would be challenging and the Carnival to kickstart it started off with a sense of excitement from us and apathy from the locals. However, once we began setting up the health screening and games areas, curiousity got the better of the villagers. Some of us went from house to house calling them out to join us. The area was badly littered and our investigations revealed that just 2 weeks before our event, some helpers had already cleaned it. However, the Orang Asli did not have extensive knowlege about hygiene and have not cultivated habits about keeping clean. We saw a huge dump of clothers and garbage near the jetty. This was a 5 club project spearheaded by SI Club of Bangsar. The collaboration went well with support from SI Clubs of Singapore, Garden City, SI Orchid as well as SI Johor Bahru. Regency Hospital collaborated by providing nurses to handle the health screening, hand hygiene whilst SIJB had Dr. Maria Fernadez as consultant and Dr. Kirthi advising on dental hygiene. The Newcastle University final year medical students highlighted steps to be taken in the event of stroke, choking, diabetic reactions and other sudden emergencies. A guide on good nutrition and hygiene was also helpful as the children were curious to learn more. The children also explained that they did not wear any footwear as it was too hot, and they would always bathe in the river as the salty water would heal their wounds. A medical check up was set up for the orang asli at the Dewan (Hall ) of the Village and a site for the children to play and learn was set up at the terrace area of one of the residents. 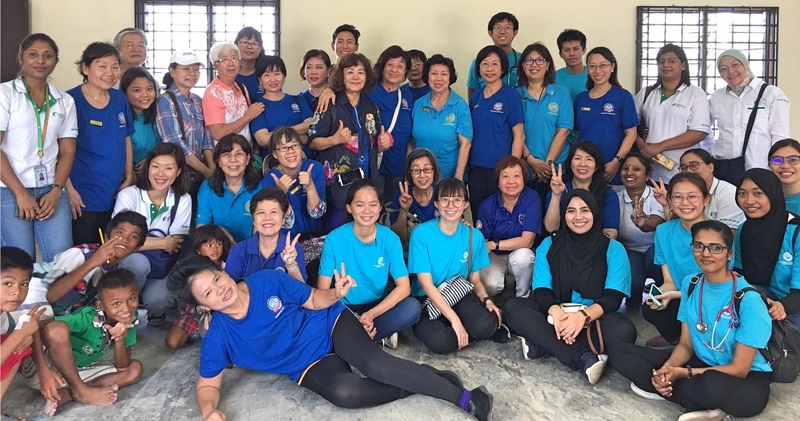 The Singapore members organized games for the children and the Bangsar members assisted at the health section and also demonstrated crochet work to encourage the women to take up a hobby that could be commercialized. Our observation was that education was the priority as the women had little exposure toeducation. About 10 women and 27 (about 15 girls) children participated. 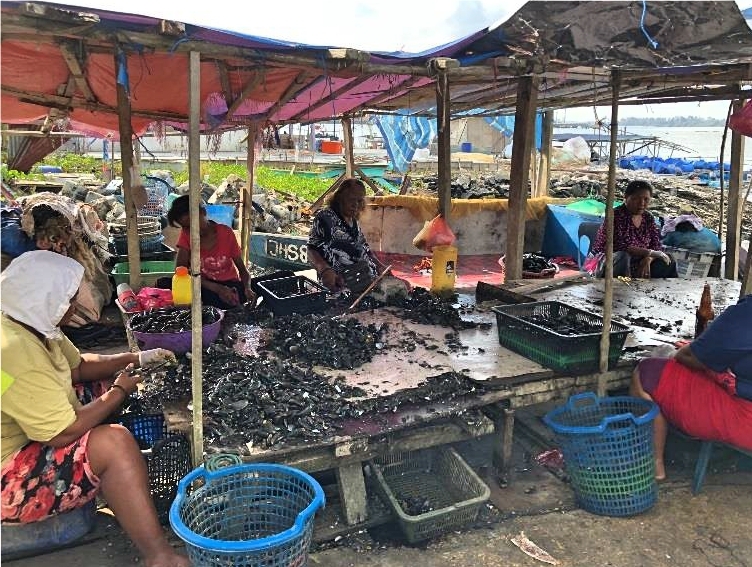 The community was not far from Johor Bahru city, however, the fact the men are mainly fishermen made it difficult for them to participate in the medical screening. The feedback received was that some children were malnourished and the women had a lot of health issues such as obesity, bad diets, lack of family planning. The Singapore team and members of SICB will move to Stage 2 which is a Literacy Programme for the children teaching them in monthly workshops over firstly a one year period – practical basic Mandarin and the English language (they already have a smattering of Malay as some go to the national school) followed by general knowledge and good values. This would enable them to communicate with other races in the community and eventually assist them in obtaining jobs in various sectors and reduce their reliance on fishing. Fish in the area are also facing depletion. A sustainable project would require at least 3-5 years commitment. The womenfolk could be taught family planning and nutrition which would come with added economic empowerment. Mussel shells, recycled into fertilizers which can be sold to farmers is another target….we’ll be back ! Follow our Project and Educate to Lead. “I felt like the Pied Piper of Kua la Masai with all the kids . They are active in sports, and it would be good to develop this talent”. 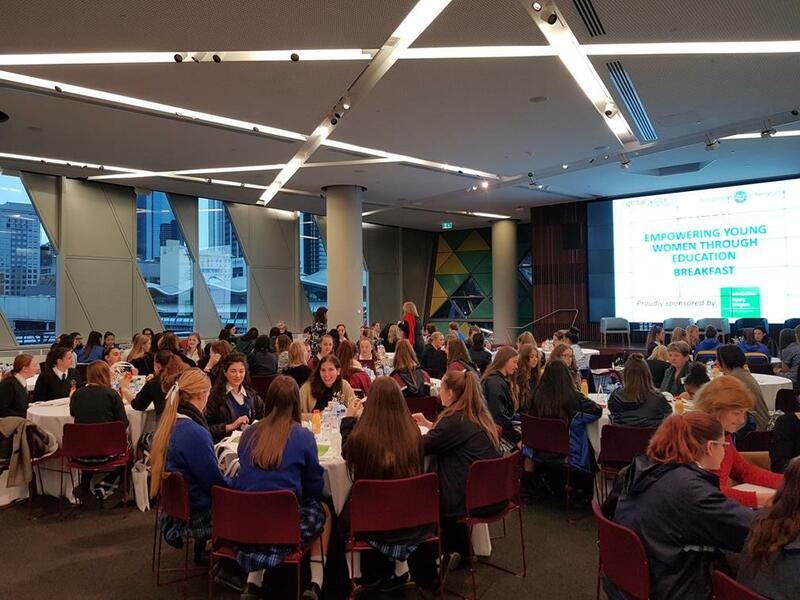 SI Melba, held an Empowering Young Women through Education Breakfast on 17 August 2017 at the National Australia Bank (NAB) Headquarters located at Docklands, Melbourne. 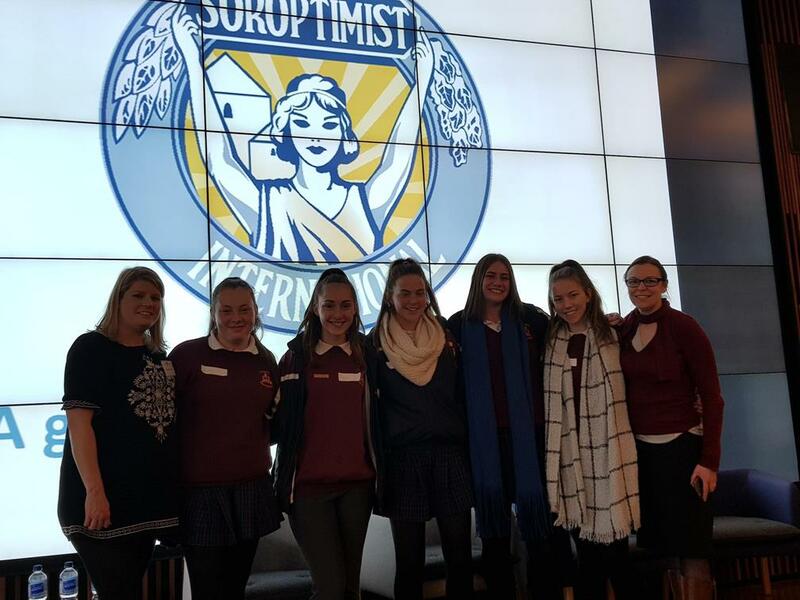 128 Year 9-11 girls who are disengaged at school, along with their teachers and women mentors from the community, come together to see how the education opportunities they have now will shape the lives they have in the future. The girls were inspired by the impressive and heartrending stories told by our amazing guest speakers Naty Guerrero-Diaz and Annabelle Chauncey OAM. The event was proudly sponsored by Adviceline Injury Lawyers. Naty shared the many struggles she experienced along her journey to her successful career as a lawyer. From moving to Australia as a child refugee, having to learn a new language, a new culture, hating school, having lots of jobs and constantly feeling like she didn’t fit in, many girls felt a connection with her story. Naty was able to show how in the end education has made a significant difference to her life choices and those that she helps each day through her work with Adviceline Injury Lawyers. Annabelle from the School for Life Foundation in Uganda who spoke about the challenges of growing up in a tiny town in rural NSW, moving to the busy metropolis of Sydney to university and hating it! But then of her life changing move to Africa where she volunteered and eventually went onto to found a grassroots educational foundation and returning to Australia to complete her law degree. Again it was education that made a difference to the choices Annabelle has been able to make and also to the many children that are now able to attend the school she has built and move out of poverty. However the event is not simply a talk fest, it is an interactive event, where the aim is to provide real, practical strategies for the students to take away with them, to help them cope with the challenges of teenage and school life. Each table of students had a mentor, a woman from the business community help them make sense of what they had heard and how they could use that information in their own lives. A special interactive session was led by three young students from Monash University, who are participating in a Global Challenges program, who shared their stories of how they overcame challenges at school and they cope with life in general. The mentoring session was based on the fundraising lunch that was hosted and sponsored by Adviceline Injury Lawyers, that was held in June this year. At this lunch we asked women “what would you tell your 15 year-old self?” The responses were captured and passed onto the girls at the breakfast. These are shared at the end of this article. You’ve heard what adult women have written to their 15-year-old selves. What would you write to your 21-year-old self as your aspirations for yourself at that age? How can school and other education opportunities help you achieve those aspirations? Are there obstacles you might need to overcome? What are they and what could you do to overcome them? 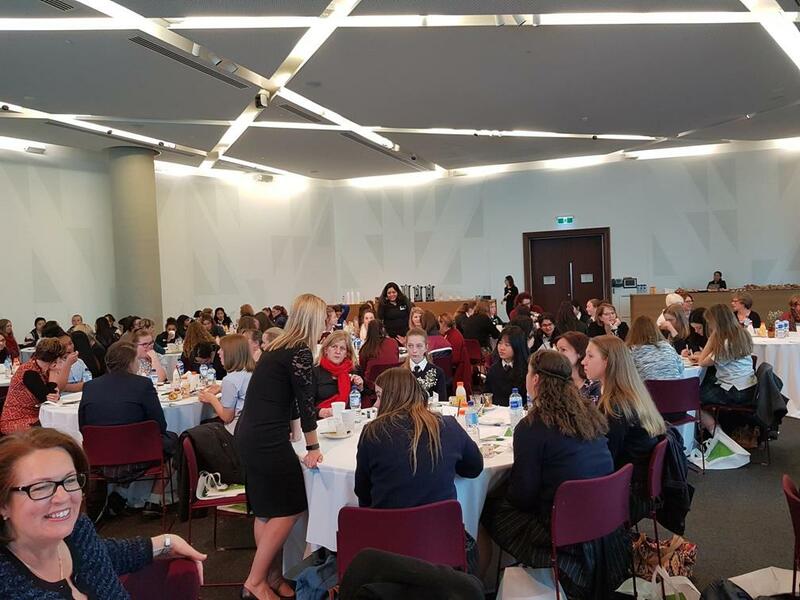 The table mentors facilitated the discussions at their tables but also encouraged each girl to privately write down her own thoughts and notes that she could take away with her. At the end of the session, each table was invited to share one key take away. Judging by the feedback from the girls and their teachers, the event was a massive success, 97% said they left feeling more confident about their future and all the teachers said they would recommend this event. We thank our table mentors, volunteers, teachers who brought along the girls as well as our incredible guest speakers. But in particular our heartfelt thanks go out to Adviceline Injury Lawyers who helped make this possible with their generous sponsorship and support both at the women’s lunch and the breakfast for young women. So, what would YOU tell your 15 year old self? Don’t be afraid to make your own decisions no matter how scary they seem and to take the first step. Remember your future is up to you. Leadership - what does this entail - what does this mean? 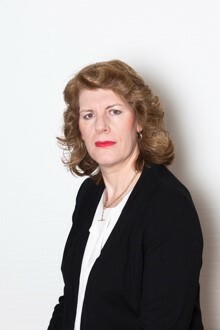 Many women shy away from taking on leadership roles in Clubs, organisations and business. Why - the question that is often asked. Too often women feel they are not suited to the role, not good enough or simply lack courage and conviction to take the next step. In fact the whole issue of Leadership and women is something that is high on many agendas around the world. We need women to stand up and take on a leadership role in all facets of our business, service organisations, not-for-profit and for-profit organisations and we all need to work with women to make this happen. Article by Soroptimist member Kerry Beer (SI Melba) , Kerry writes about her recent visit to Cambodia. In February 2017 I made a holiday trip to Cambodia as well as to represent SI Melba in the official ceremony to recognise the donation of 200 bicycles from the joint Cycles for Cycles Project, involving SI Singapore, SI Damansara (Malaysia) and SI Melba (Australia). The project was created to raise funds for the purchase of bicycles for volunteer malaria workers (VMWs) in Oddar Meanchey, a province in Northwest Cambodia (see separate report on this Project in another article currently on the SI & SISWP website). As part of my holiday, I also decided to connect with the SI Phnom Penh (SIPP) club as well as visit Sampav Loun the location where the Hands Across Borders (HAB) Project was delivered between 2004 and 2015. I had on previous occasions been involved with SIPP and the HAB project and was keen to catch up with the friendly people there as well as see how their work was progressing. Susannah Dax also from SI Melba also decided to take a Cambodian holiday and weave the SI plans into her time. 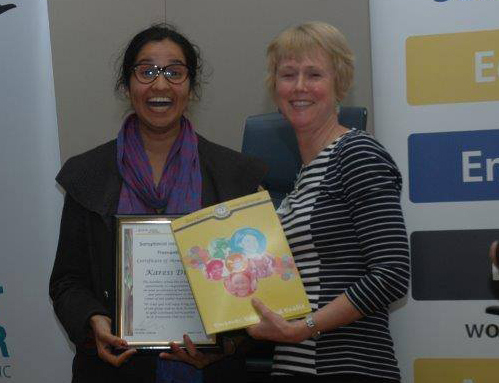 Author Soroptimist Maree Lubach, Cofounder of KinKare, grandparent support group on the south side of Brisbane, established in 2002, Council of Grandparents representative for grandparents, from its inception in 2003 and I am currently President of QCOGs. In contemporary society, elders are more visible, more active, and remain independent much longer than before. All individuals deserve to remain safe from those who live with, care for, or interact with them on a consistent basis. The fundamental belief that every individual, no matter how young or old, deserves to be treated with dignity and respect reflects the basic premise of human rights and gender equality. Most of our Elders/Seniors are grandparents, so why write an article titled this way? Because there are some very unique sets of circumstances where our grandparents are being abused which are rarely acknowledged, let alone addressed. This abuse falls mainly into the category of emotional abuse. Both emotional abuse and abuse specific to grandparents seem to have become “taboo” topics. 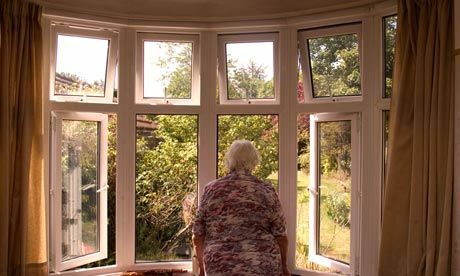 Hidden away and not falling under anybody’s definitions or areas of concern, emotionally tormented and tortured grandparents are slipping through the cracks in the social assistance programmes and law reform initiatives of many different cultures and societies. Emotional abuse, of all types and forms, is usually given only “lip service” by our authorities and medical practitioners. Just try to find some sort of meaningful definition and you will quickly understand my point here. It is as slippery as an eel and equally as hard to pinpoint. However, many professionals agree that emotional abuse can have worse long term effects on the victim than physical abuse with some even maintaining it has worse effects than either this or sexual abuse. 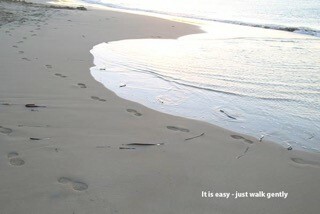 This blog brought to you by Past South West Pacific President and committed environmentalist Eileen Mitchel. Listening to the car radio just last week, I was astounded to hear that May 27th was "World Hamburger Day". My immediate reaction was "you must be joshing!" but there it was - World Hamburger Day! My mind then drifted through to the contrast of such insignificance i.e. designating such a day as a "world" day, versus the upcoming actual United Nations Day and the call from UN Environment seeking the biggest global call and mobilization for action on 5 June, World Environment Day (WED). Their children may be older than me and they may sometimes misuse the “reply all” in an email chain. Yet since becoming a member, I have learnt so much from the incredible women who call themselves Soroptimists.